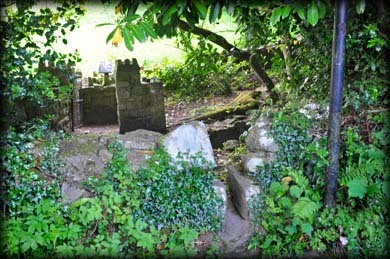 About 100 metres south of the Romanesque church is St Peacaun's holy well. Located at the southern end of the field that contains St Peacaun's Cell. It is a stoned lined and roughly circular with two steps leading down to the water at the north end. 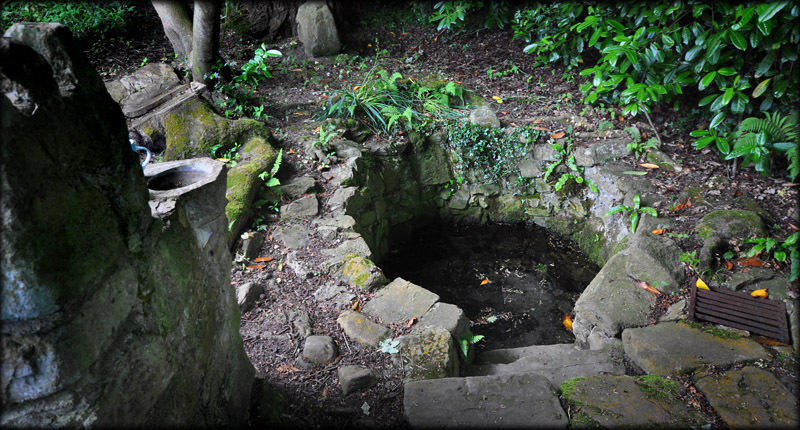 The well was part of the pilgrimage that took place here at Toureen. The Pattern day took place on the 1st August. 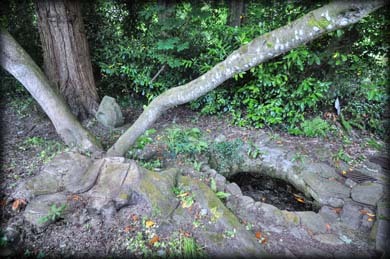 There is a bullaun stone, lying on it's side to the north of the well. It has a single bullaun in the east and west side. 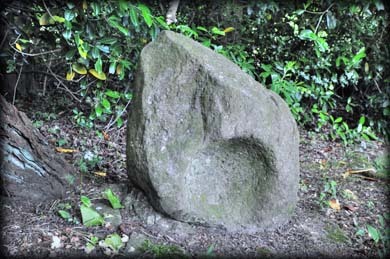 It was moved to here from the neighbouring Ballydrehid townland as was the millstone that is located even further north of the bullaun stone. Situated: From Cahir head west on the R640. After 1.5K go onto the N24 at the roundabout. After about 5 kilometres turn left onto the L3102. Then take the first left. I parked up and walked over the level crossing into the farmyard. Follow the road from here. Discovery Map 74: S 0050 2850. Last Visit: June 2015.